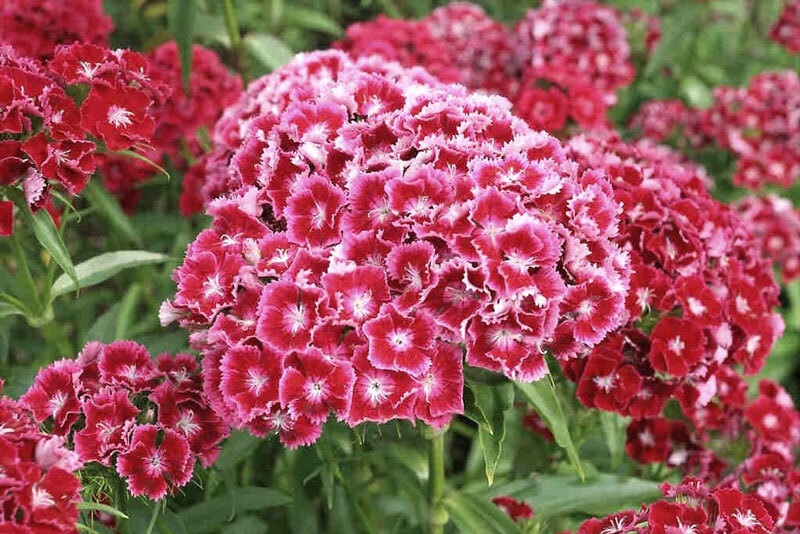 Versatile sweet William (Dianthus barbatus) looks charming when used in mass plantings, as border plants, or even to brighten up a patio as a container plant. 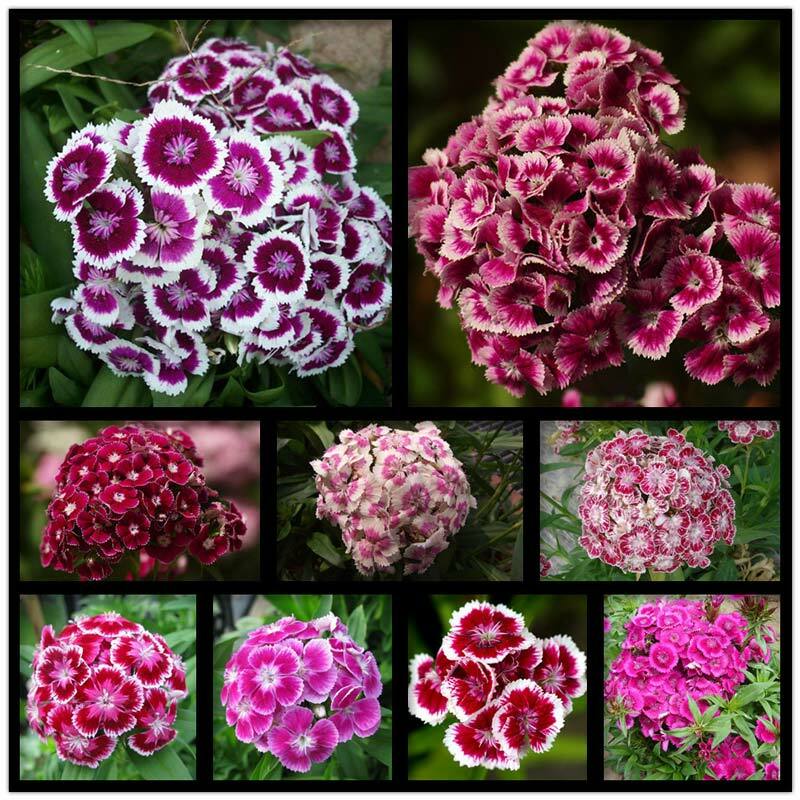 Sweet William is widely grown as an annual, but it can grow as a biennial and perennials in U.S.
Sweet William is perhaps best known for its dainty flowers, which come in shades of red, pink, white and bi-colored, and feature five petals with serrated edges. 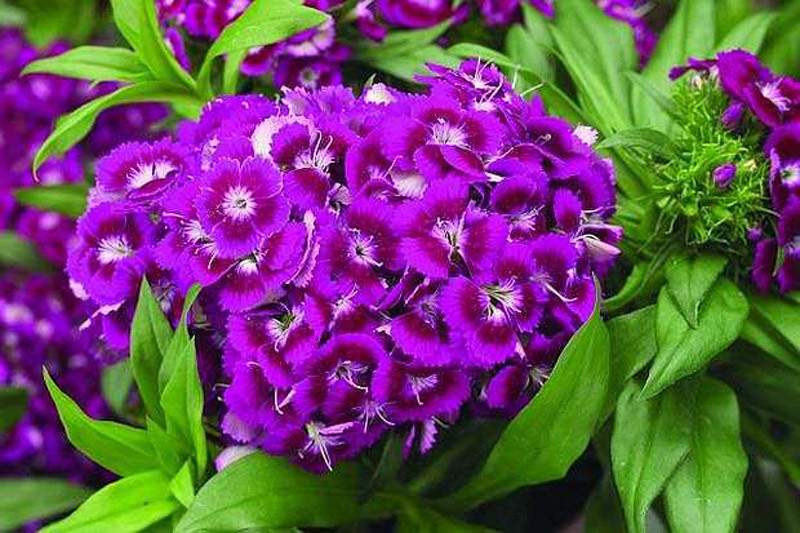 With proper care, with particular attention to watering needs, sweet William can bloom from mid-spring until first frost. 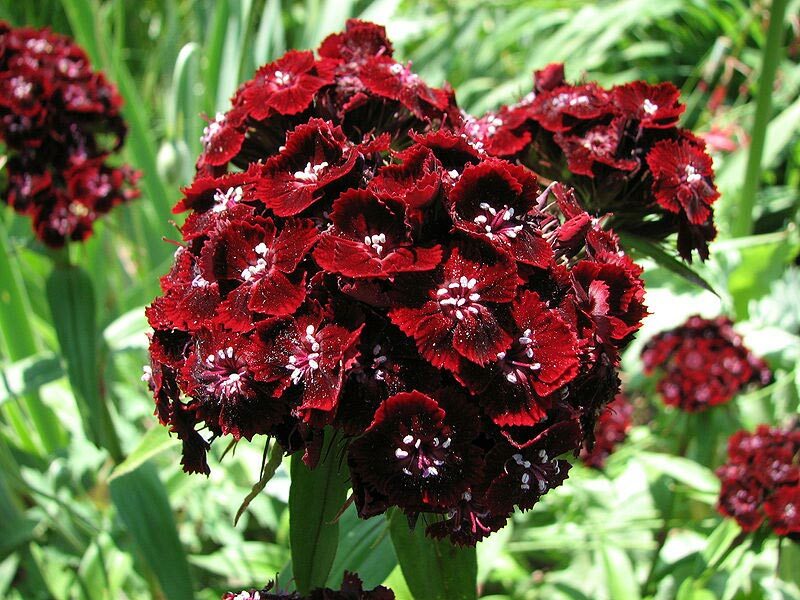 Plant sweet William in fertile, humus-rich soil with plenty of drainage to prevent root and crown rot. Select a site in full sun with partial shade in the afternoon and allow at least 12 inches of space between plants. If you have poor soil, you can blend a few inches of humus materials, such as compost, leaf mold, manure and sphagnum peat, into the native soil, using a rototiller or garden hoe. Spread 2-to-4 inches of organic mulch, such as shredded bark mulch, around the plants to help prevent weeds, insulate roots and retain moisture. 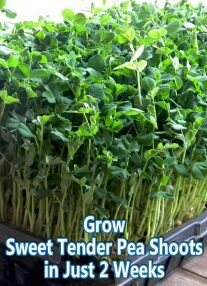 Water plants as needed to keep the soil evenly moist, but not wet. 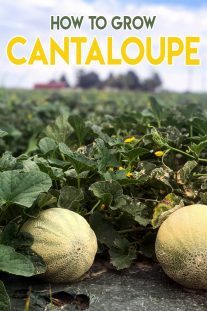 A deep watering once weekly is sufficient, but twice weekly watering is often necessary during periods of intense summer heat and drought. Water the soil around the plant rather than spraying the water directly on the leaves and crown to help prevent problems with crown rot. 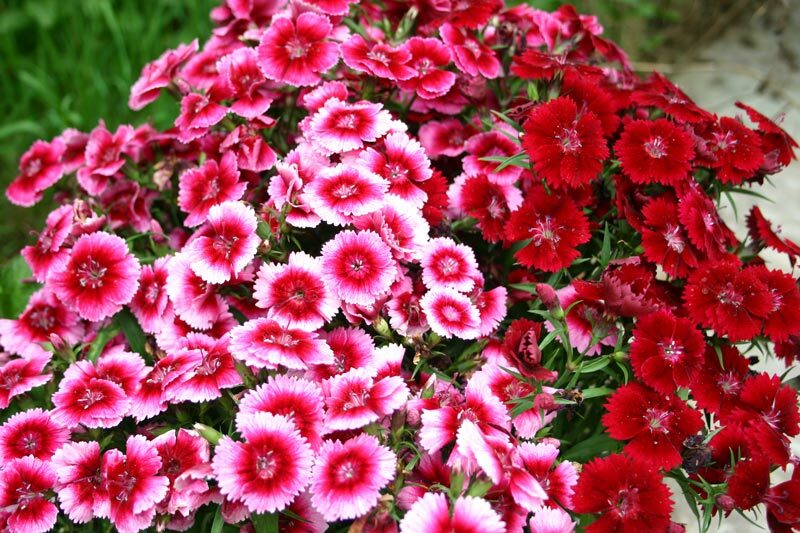 Apply a water-soluble, complete fertilizer, such as 10-10-10, to the dianthus plants once every two-to-four weeks to boost plant growth, if desired. Dissolve the fertilizer in water and apply the mixture to the soil around plants. Organic fertilizer alternatives include compost mulch, fish emulsion, blood meal and bone meal. 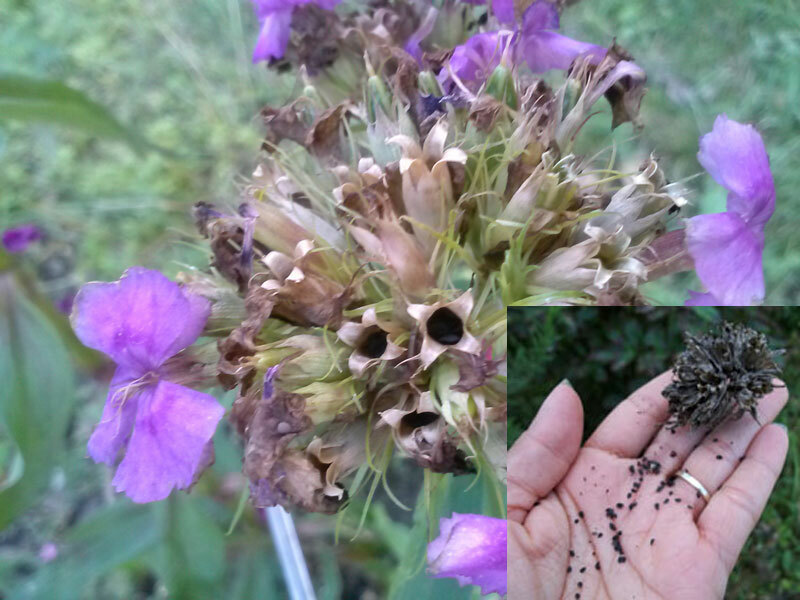 Deadhead the plants frequently to encourage blooming throughout the growing season. Remove flower blossoms as soon as they die. 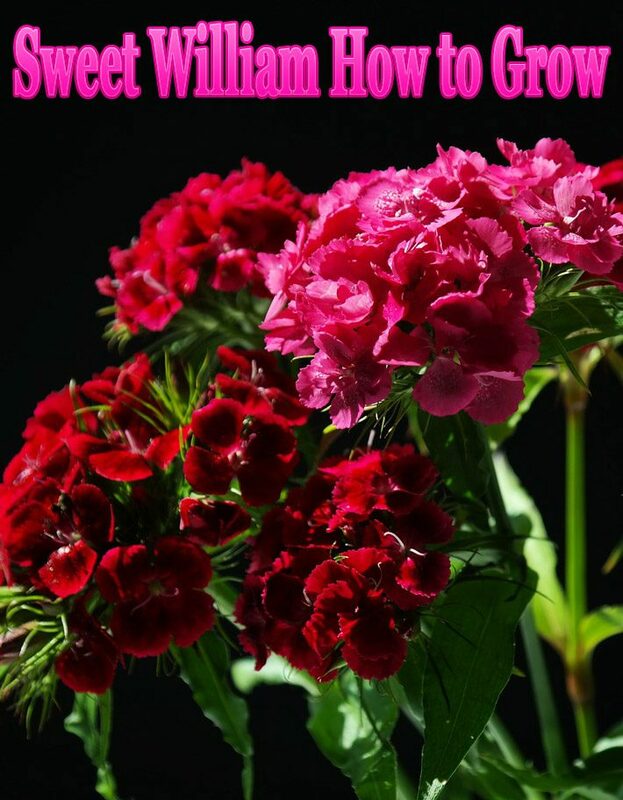 Sweet William can grow up to 3 feet tall with a 3-foot spread, so you can shear large plants when most of blossoms begin to die. 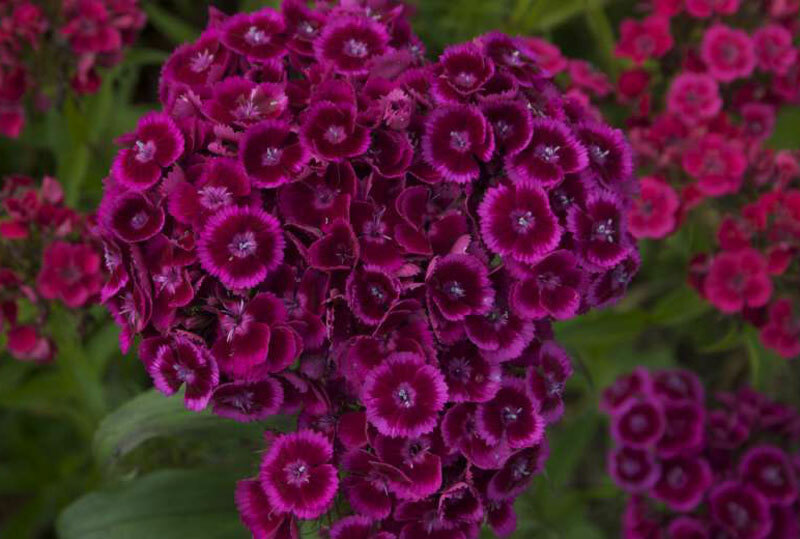 Frequent deadheading or shearing also helps the plant to grow as a perennial. Monitor the plants often for common problems, including crown rot, and pests, such as slugs, sow bugs, snails and grasshoppers. 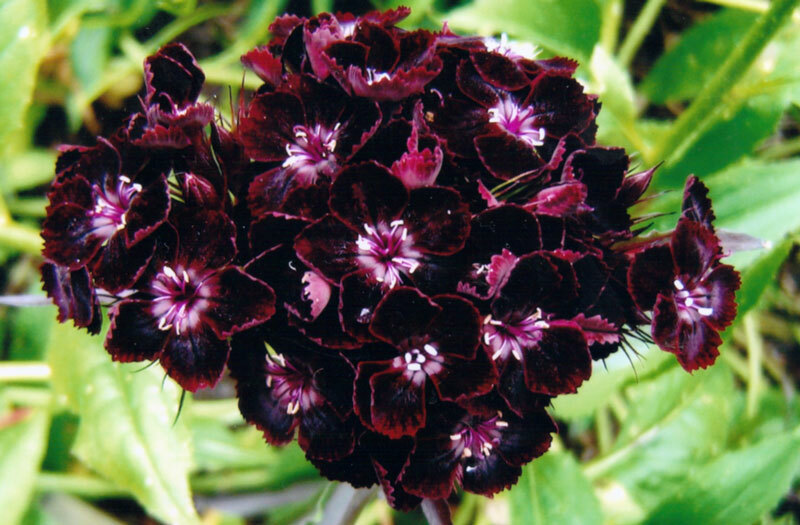 If problems with rot occurs, reduce the amount and frequency of watering. 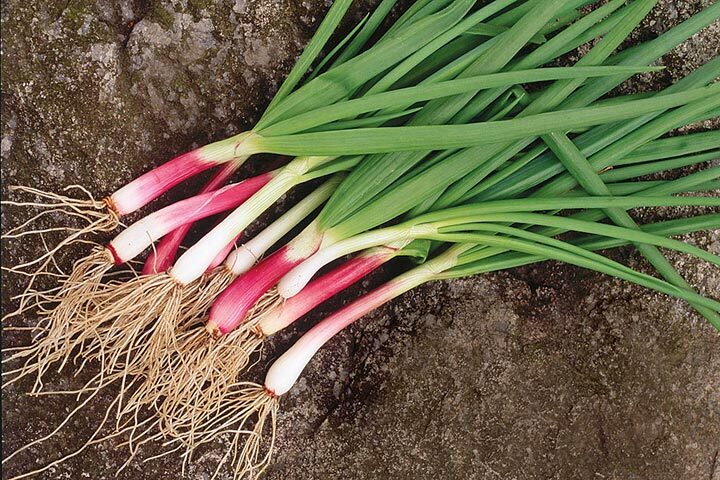 Pests can be picked off by hand and relocated elsewhere in the garden. 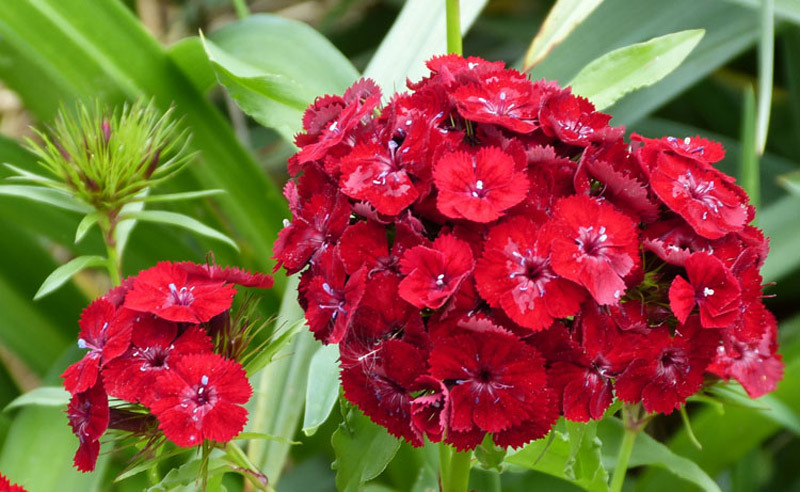 Sweet William plants are widely available in nurseries in the spring and will bloom in the same year, but you can also sow seeds in summer, and plants will bloom the next year.